Cardiovascular Disease Is Complex. Cardiovascular IT doesn’t have to be. 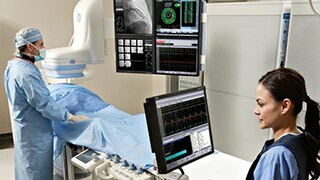 Centricity™ Cardiology Enterprise1 is an integrated imaging and workflow solution that bridges the gaps between cardiovascular service lines and healthcare information systems with a single point of access for patient data, waveforms, images, analysis tools and physician reports – combined with powerful end-to-end management, analytics and workflow tools. Centricity™ Cardio Workflow offers a comprehensive collection of tools for all data and information management in the cardiovascular department. It helps facilitate registry workflow, streamlines inventory management, automates billing, creates clinical reports, and runs clinical and administrative queries. 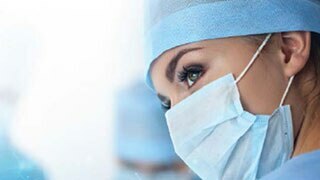 Centricity Cardio Workflow transforms the physician reporting experience that helps physicians spend less time at the computer and spend more time on what matters most…the patient. Centricity Universal Viewer provides enterprise wide advanced visualization and quantification tools for Cardiology, offering a single source for coronary and vascular analysis, nuclear cardiology, volume analysis, and echo measurement and analysis tools such as 2D strain, 3D and 4D visualization. Centricity Universal Viewer offers embedded access to GE Healthcare's EchoPAC™ Plug-In, AW Advanced Visualization, Medis™ and TOMTEC™ tools. Centricity Clinical Archive (CCA)4 is an open architecture vendor-neutral solution that unifies and intelligently manages patient data, clinical images and enterprise content. Built on IHE - XDS and DICOM-compliant industry standards, CCA enables seamless connectivity among disparate systems across multiple archive systems, specialties and facilities. CCA leverages the power of Centricity Universal Viewer ZFP client, to enable rapid sharing and access to patient's longitudinal history from anywhere3 whenever it is needed. Centricity Cardio Enterprise is a solution comprised of Centricity Universal Viewer and Centricity Cardio Workflow. Anywhere there is internet connectivity. Centricity Clinical Archive includes the following product components: Centricity Enterprise Archive, Centricity Universal Viewer ZFP client, GE XDS Registry, Centricity Clinical Gateway, Audit Trail Repository, Media Manager, ICW Master Patient Index (MPI), and Lexmark PACS Scan. See the Centricity Clinical Archive Compatibility Matrix and product-specific documentation for requirements. Medis, the Medis logo, QAngio, QFlow, QIvus, QMass and QPlaque are registered trademarks of Medis Associated BV in the United States and in other countries.